Mumbai is the city of the most diverse street food and this place fully justifies this. Tuck box in Borivali serves huge triple layered melting cheese sandwich! The first layer has veggies, panner and lots of cheese. Second layer has the secret melting sauce and cheese! The final layer has the white sauce and cheese. 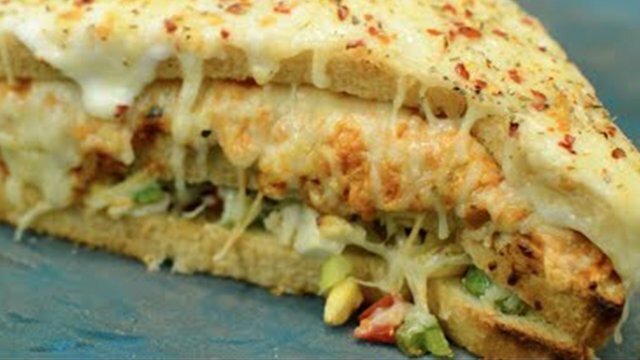 Don’t forget to get a partner along to finish this big melting cheese sandwich. Besides Sandwiches, they also serve delicious pastas with unlimited cheese, pizzas, burgers and Mocktails. Address - The Tuck Box, A-10, Sminu Building, Sodawala Lane, Prem Nagar, Opp. MCF Club Garden, Borivali West, Mumbai.